Irritable Bowel syndrome is a very common condition affecting as many as 1 in every 5 adults in the U.S. The condition affects the colon or ‘large intestine’ and causes a variety of unwanted symptoms including cramping, bloating, diarrhea, gas, constipation and stomach pain. The condition is usually chronic although symptoms can vary in severity at any time and only the minority of people with the condition have very severe symptoms. Many sufferers may even be unaware they have the condition and not all will seek medical help. 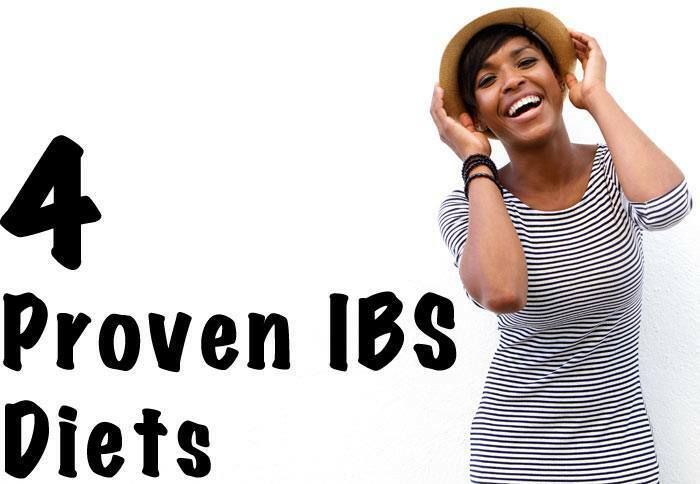 IBS can be brought under control with certain lifestyle and dietary changes; it is likely however that finding the right diet will come down to trial and error as not everybody’s symptoms are triggered by the same food. Before we look at the various diet options for IBS, it is important to look at the food that people commonly need to avoid because they are well known triggers in the majority of patients. There is not one definitive list of food to avoid and with trial and error, you can start adding to the list by elimination. Grains can be problematic for several reasons; first of all certain whole grains contain insoluble fiber which is difficult for IBS sufferers to absorb and digest. Secondly, products containing other grains such as rye, barley and wheat have high gluten content. Gluten is known to trigger intestinal reactions and worsen IBS symptoms. Around half of the people with IBS are gluten intolerant. If you are determined to continue eating cakes, cookies and pizza, look for gluten free alternatives which are readily available these days. We are always told how good fiber is for you; it helps to add healthy bulk into your diet and is found in fruit, vegetable and grains. On the other hand, insoluble fiber such as the fiber found in grains can aggravate certain symptoms like diarrhea and eating a lot of insoluble fiber will increase your discomfort and your bathroom visits. Instead, try to increase your intake of the soluble fiber found in fruit and veg. Milk has a fat content that can make diarrhea worse so try drinking non or low- fat milk instead. Another problem with dairy is that many IBS sufferers are lactose intolerant meaning they are unable to digest the lactose from dairy products. Consider switching to products made from soymilk. If you choose to completely avoid dairy products, you might need to take a calcium supplement. Fried foods like chicken and French fries play a big part in the standard Western diet these days and let’s face it, they are cheap, convenient and mostly delicious. Unfortunately, the very high content of fat is very difficult for IBS sufferers to digest. Try grilling your chicken or baking your potatoes instead. We all know the effect that eating too many beans can have on the digestive system. They are rich in fiber and protein but can be an absolute nightmare for patients with IBS. Beans are very likely to increase cramps, gas and bloating and should definitely be avoided if you suffer with IBS. Not everybody will have a bad reaction to drinking coffee and many people swear that it helps them to stay regular. Unfortunately for others, coffee can stimulate the intestines and produce more diarrhea and should be avoided by those with IBS. Alcohol, caffeine, carbonated drinks (even mineral water for some), artificial sweeteners, MSG and artificial fats like Olestra can all be potential triggers. If it is artificial or processed—your best bet is to avoid altogether. 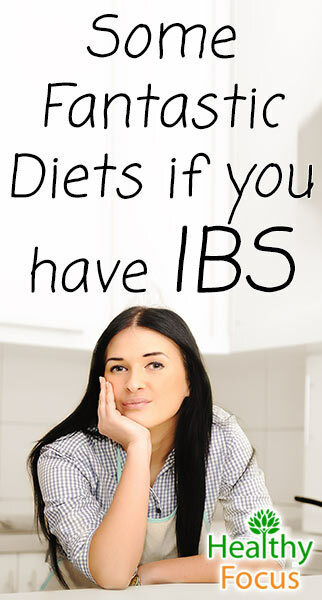 IBS symptoms and triggers vary from person to person which is why an elimination diet often proves effective. Over time, try to find out exactly which foods are causing your symptoms and keep detailed notes and lists. Once you have identified a potential culprit, you should avoid it for 2 or 3 months to see if your symptoms have improved. If you would prefer to try a more controlled diet plan, there are a bewildering number available. Unfortunately, many of these offer contradictory opinions but we will look at some of the most popular in this article. Fried foods and other unhealhty fatty foods contribute to a variety of illnesses and health problems like obesity. The standard western diet includes far too many fatty foods and even where I live in South East Asia, I have seen a massive change in the average weight of children over the past few decades as their diets have changed towards a more western diet. Fatty foods are also low in fiber content which is a problem for IBS patients with constipation symptoms. The Cleveland Clinic suggests that high fat foods are especially problematic for patients with mixed symptoms of both diarrhea and constipation. Going on a healthy low fat diet will not only benefit your overall health, but should have an immediate impact on your symptoms especially if you were overeating the fatty products on offer. Try to avoid the fast food joints and try to prepare your food in a different way at home. Try grilling, boiling and baking instead of frying and make sure you are eating plenty of lean meats, fish (with healthy fats), fruits and vegetables. Try to replace full fat milk with a lower fat variety or switch to unsweetened soymilk instead. How much fiber is too much for IBS patients and exactly what type of fiber should you be eating? Fiber can actually help certain IBS patients by bulking their stools but ironically increasing your insoluble fiber consumption can have a detrimental effect especially if you suffer from diarrhea and gas. Instead of eating the problematic insoluble fibers found in various grain based products and certain veg like broccoli and cabbage, you should get your fiber from soluble fiber sources like carrots, oatmeal, berries and apples. As we mentioned above, gluten can be especially problematic for those suffering from irritable bowel syndrome. Gluten is actually a protein which is found in grain based products like pasta, pastry and bread. This protein is known to have a detrimental effect on colon especially in those with gluten intolerance. Many people who suffer from IBS also have intolerance to gluten and lactose meaning these foods should be eliminated. If you want to try the gluten free approach then you will need to avoid rye, barley and wheat products from the diet and with any luck you will see an improvement in your symptoms. These days there are gluten free products and ingredients for home cooking increasingly available at health stores, supermarkets and online. The low FODMAPS diet is a popular diet for those suffering from IBS as well as other inflammatory conditions like IBD and SIBO. The principle behind the diet is that a set of short chain carbs known as FODMAPS are not well absorbed in the small intestine. When eaten, they rapidly ferment due to a reaction with bacteria in the stomach. This is especially problematic in patients with IBS as the fermentation process contributes to the severity of the symptoms experienced by the patient. Certain fruits containing an excess of fructose like apples, pears and tinned fruit. Certain vegetables like asparagus and artichokes. Dairy products including milk, cheese, custard and yoghurt. A more comprehensive list can be found here http://www.aboutibs.org/site/treatment/low-fodmap-diet/measuring but the developers of the diet stress that you should speak to a trained dietician before you embark on the diet. Remember also that moderation is important; the diet is named low FODMAPS as opposed to no FODMAPS and depending on the severity of your symptoms you may have a little flexibility.